DETROIT — PETA sent a letter to the Queen of Soul's estate Friday, calling on family to donate her fur collection. In a press release, the animal protection organization says "by donating Aretha Franklin's fur coats to PETA, her family could expand her legacy of social justice to animals." Franklin's coats would go to PETA's fur donation program , "which sends furs to people in need in refugee camps and at homeless shelters as well as to wildlife rehabilitation facilities, which turns them into bedding for orphaned wildlife." PETA is hoping to add Aretha's name to the list of celebrities who have donated their fur coats to the program. This list includes: Mariah Carey, Mary Tyler Moore, Sharon Osbourne and Kim Cattrall. No word yet on whether Aretha Franklin's estate will accept PETA's offer. We’re so sorry for the loss of your aunt. The world has lost an amazing talent, and we’re grateful that her music will live on. Aretha will always be remembered for all that she did to help empower African-American people, especially women, in her lifetime. Might we now call on her estate to help end the cruel era of wearing animal fur by donating her fur coats to PETA, where they’ll go on to offer warmth and comfort to those who need it the most? In the past, we’ve given donated fur coats—some coming from other wonderful women including Anjelica Huston, Mariah Carey, and Mary Tyler Moore—to homeless shelters in the U.S. (including in Detroit) and to displaced refugees in Afghanistan, Mongolia, and Syria. Designers, brands, and stores are dropping fur as quickly as consumers are ditching it. 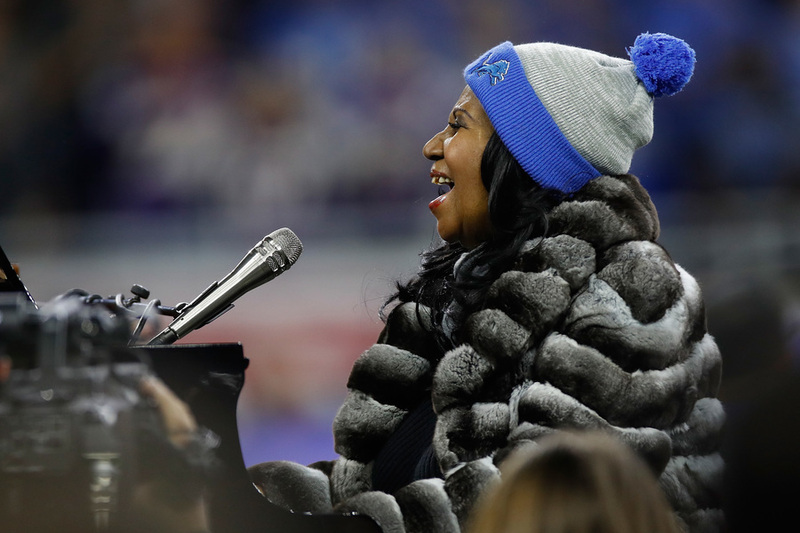 As faux fur and other cruelty-free, vegan materials take over, real animal fur can be put to good use, and this generous donation would secure Aretha forever as an “Angel” for animals. Thank you for your time and consideration. Please let us know if there’s anything that we can do to help you and your family through this difficult time.